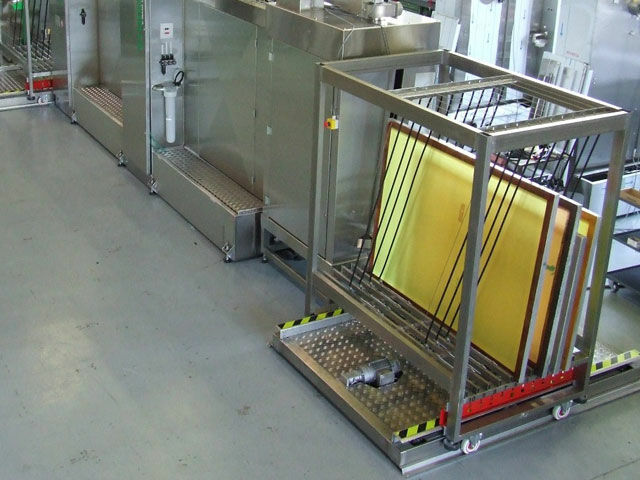 Washing equipment is designed to facilitate the cleaning and reclamation of screens. 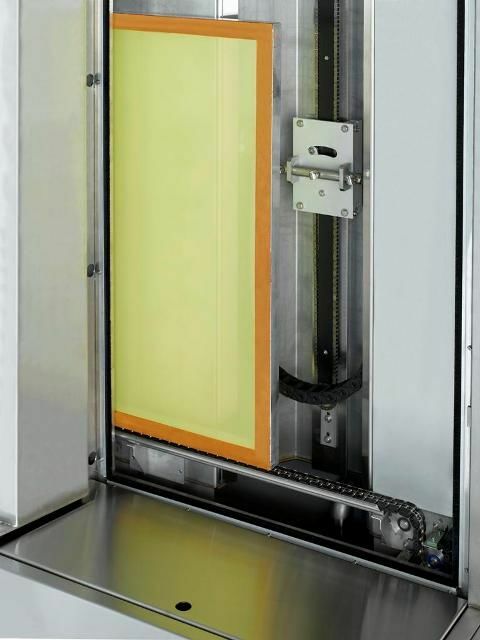 These devices can range from simple and relatively inexpensive washout booths to advanced, fully automated washing and decoating machines. 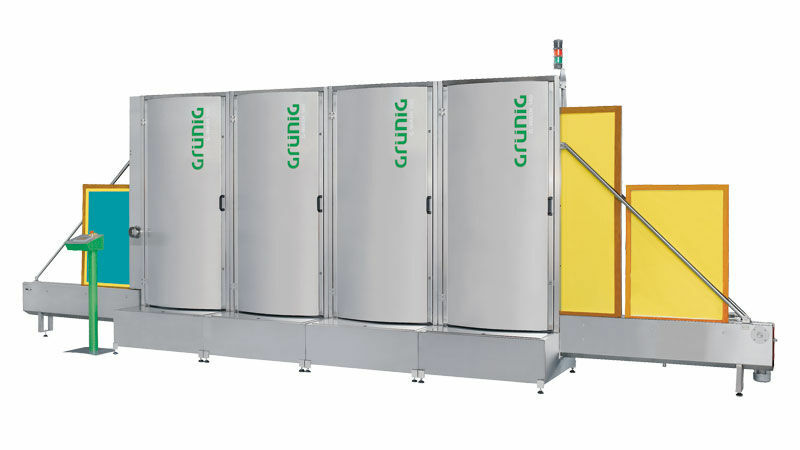 The G-WASH 104 is an automatic screen cleaning machine that offers Grünig’s latest “Plug & Wash” technology. 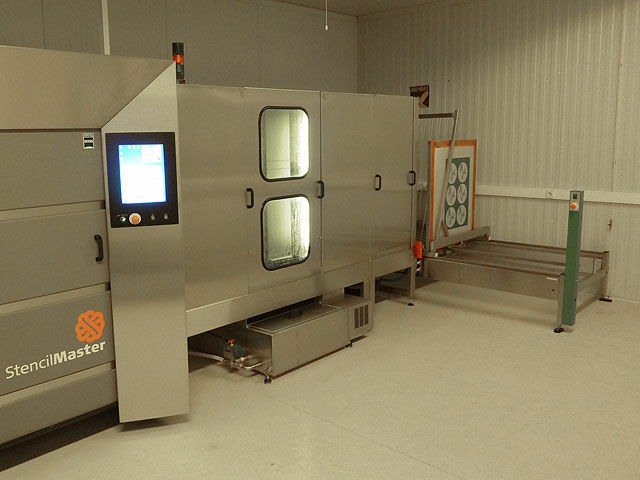 It has a programmable washing time and is safe to use due to the enclosed washing chamber. 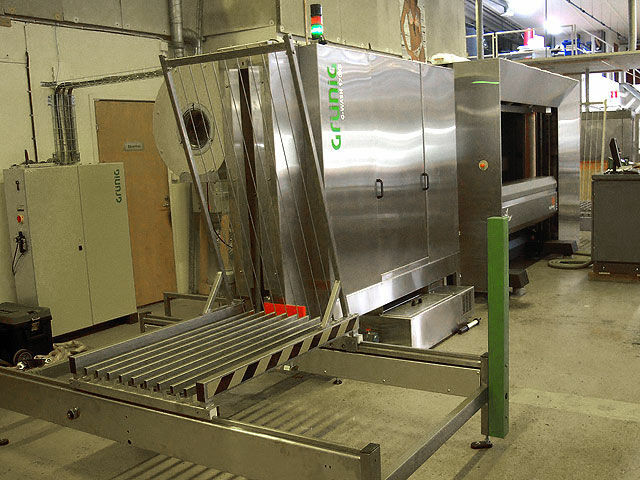 Automatic washing is done by means of spray nozzles that operate on both sides of the chamber. These automated spray nozzles, powered by a powerful water pump, clean the frame quickly, efficiently, and thoroughly. 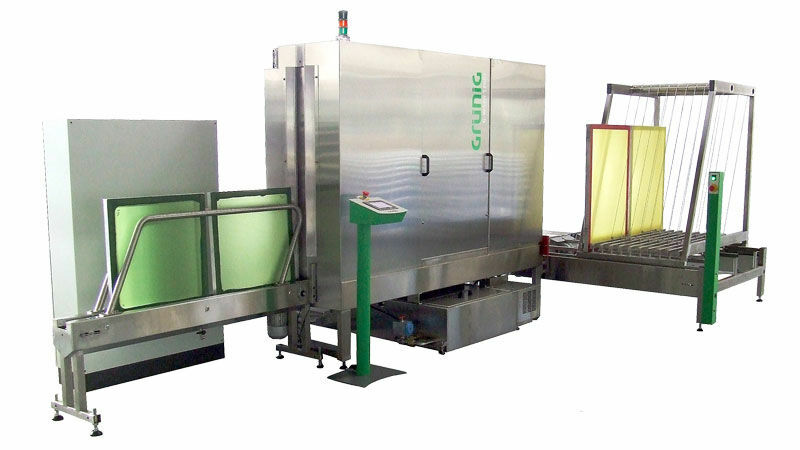 2-circuit washing system for solvents. 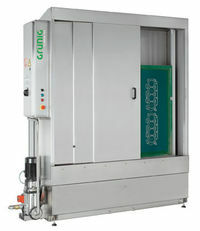 With automatic tank switching for pre-washing and rinsing. 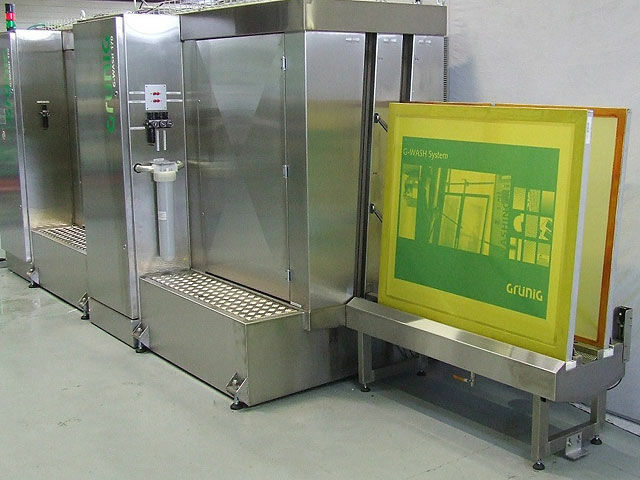 The G-WASH 112 is an automatic screen decoating machine that is based on Grünig’s latest “Plug & Strip” easy setup technology. Simply unpack, setup, fill and start decoating. 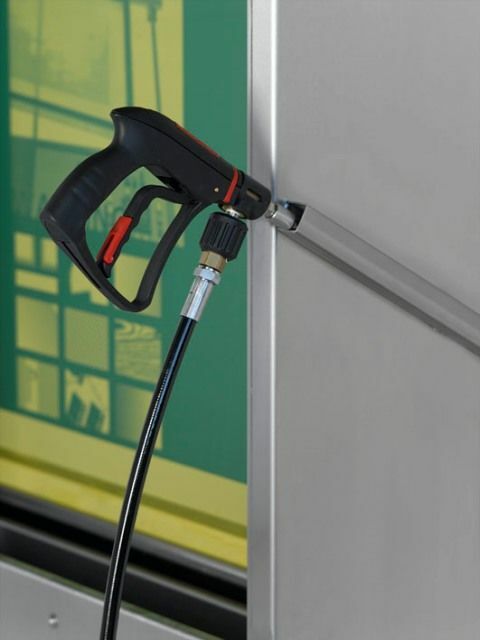 The G-WASH 112 contains a high-pressure pump for fast, excellent decoating results. 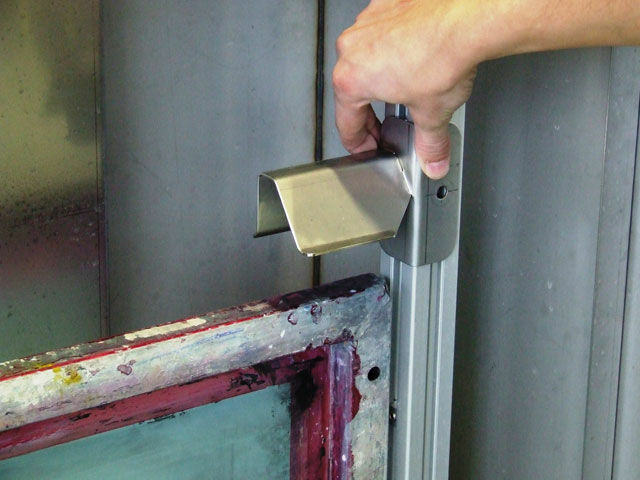 It is safe to operate due to its enclosed construction and V2A stainless steal materials. 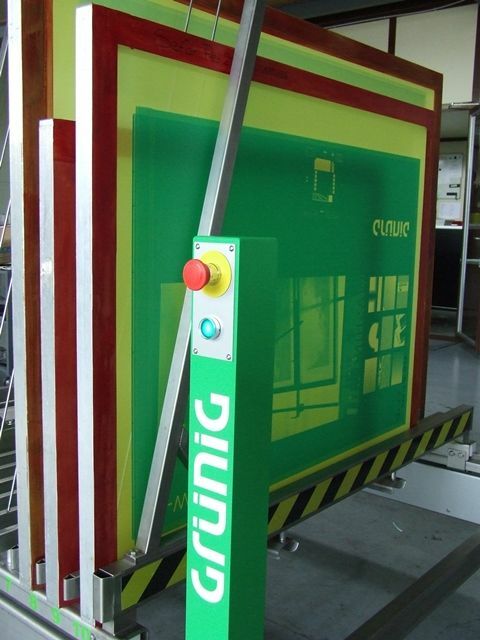 It also features a touch screen control panel with 50 available programs. 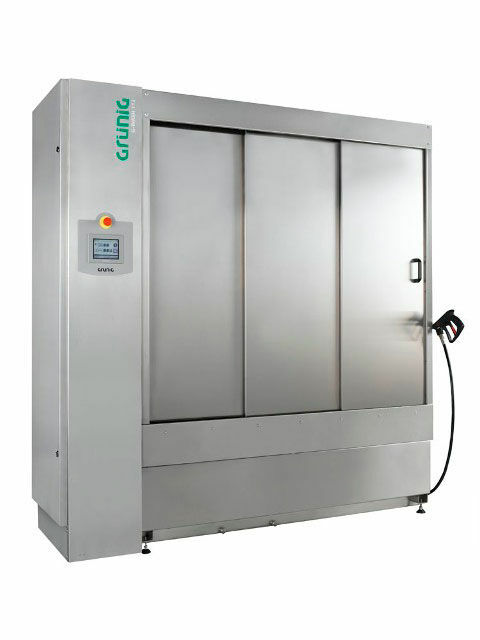 The G-WASH 12 is an automatic decoating machine that reduces water consumption by 80 percent. 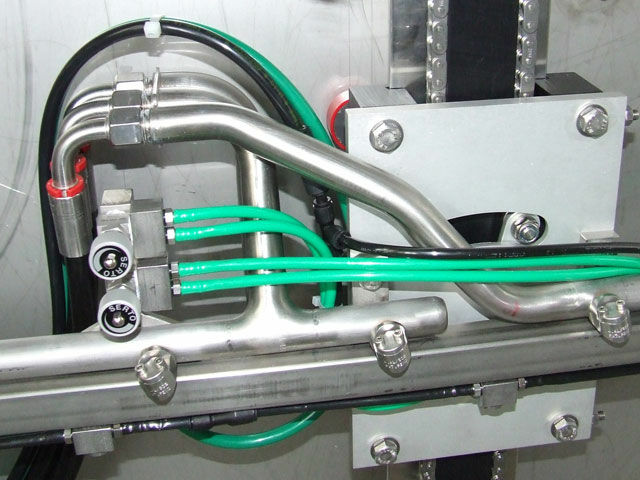 The chemical product is sprayed from both sides by means of double membrane pumps and fan jet nozzles. 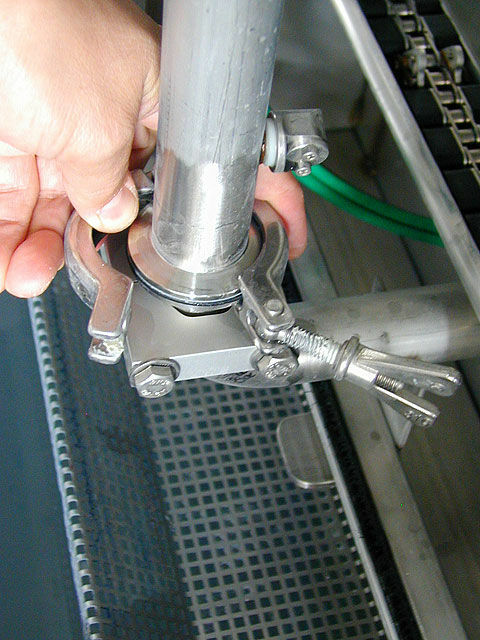 A separate pump is provided for each type of chemical. The quantity and atomizing of each solution can be finely adjusted by means of separate pressure regulators, and is programmable. 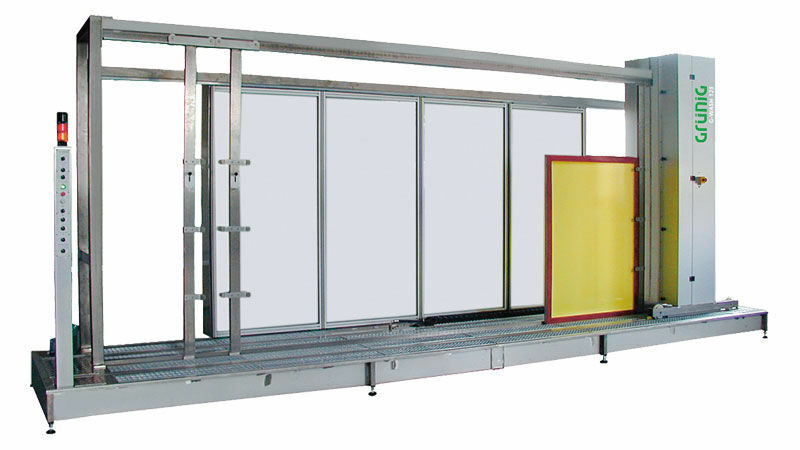 The roller shutter door on the G-WASH 12 can be completely opened, allowing for easy handling of even large screens, and simpler cleaning and maintenance. 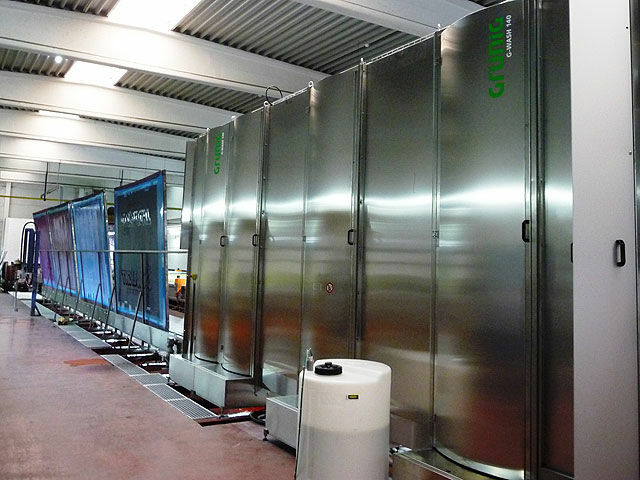 The G-WASH 030 RECYCLEAN water conditioning and preparation system reduces water consumption, and thus the waste water volume, by up to 90%. The entire water volume passes through different filters and sedimentation levels before it is taken back into the recycled water circuit. 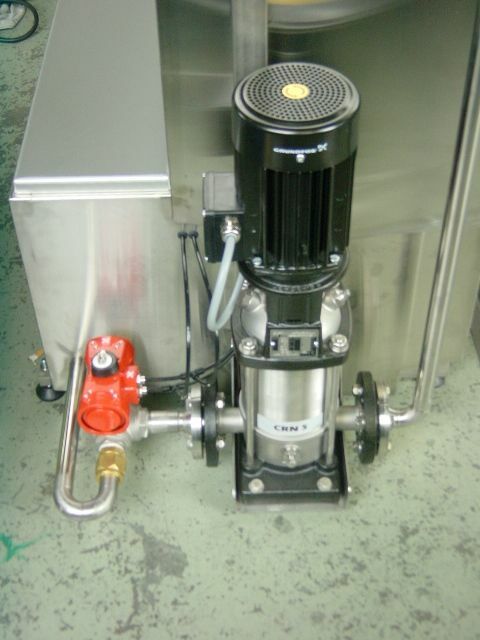 A pressure build-up pump as well as a 100 micron fine-filter made of V2A stainless steel are included. 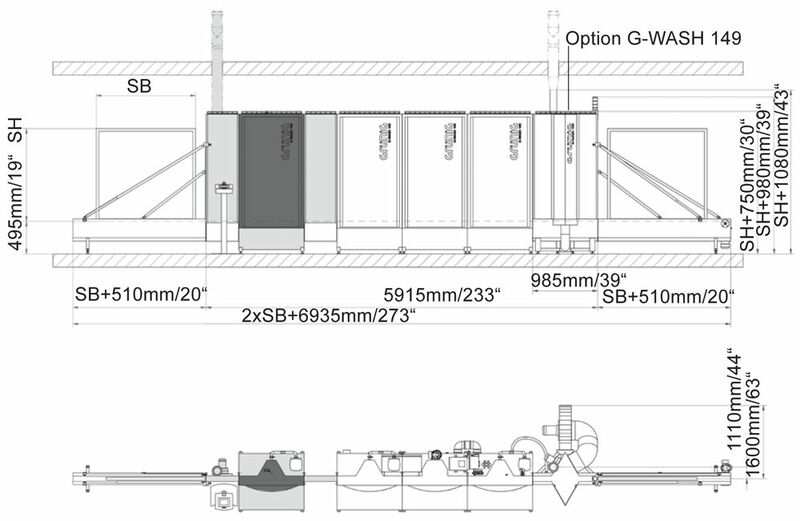 This option represents a considerable contribution towards the reduction of operating costs. 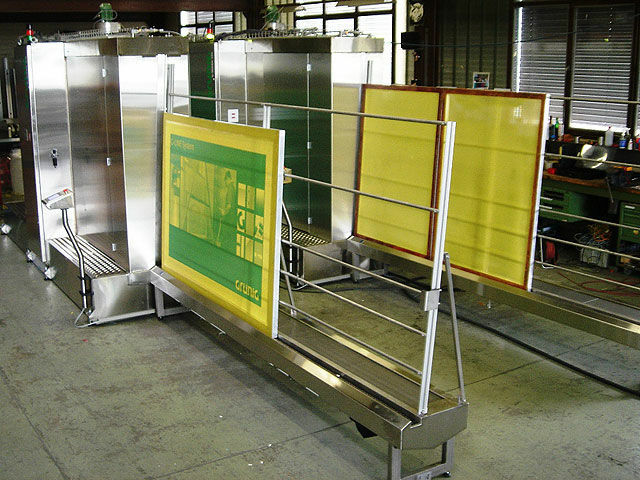 The G-WASH 125 XL is a modular system that automates the developing, de-greasing and de-coating of large screens. It is universally compatible, with support for large format screens and modular extension potential. 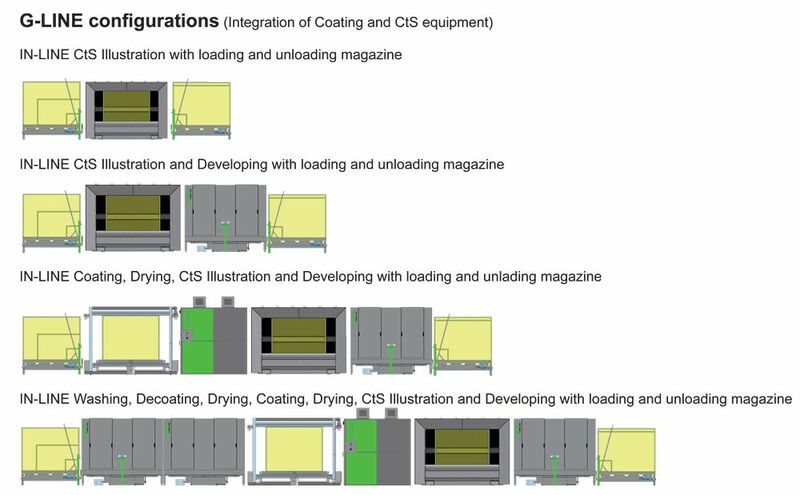 With additional modules, the following processes can be automated: developing, degreasing, decoating and washing out ink. 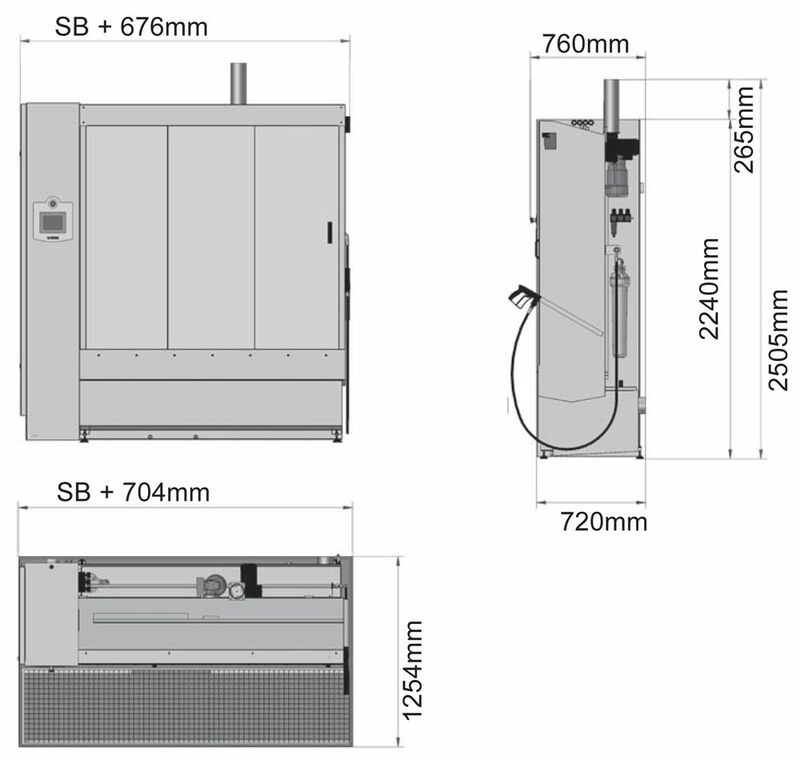 The G-WASH 125 XL is an open system, without a wash chamber, meaning screens can be loaded from the front or side. 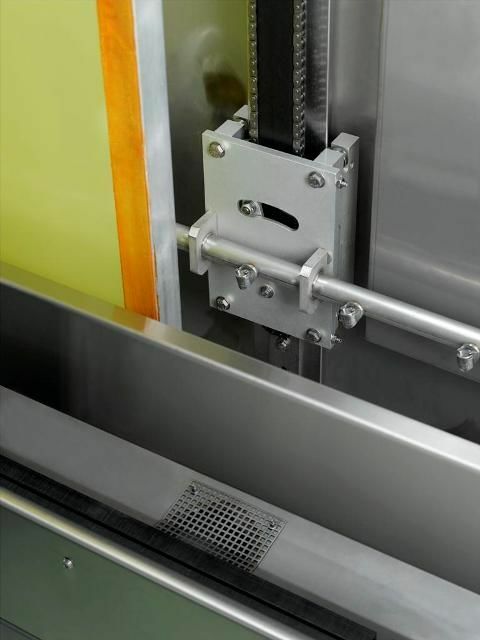 Additionally, the V2A stainless steel collection trough can be embedded in the floor, facilitating the loading of even very large screens, while still being accessible. 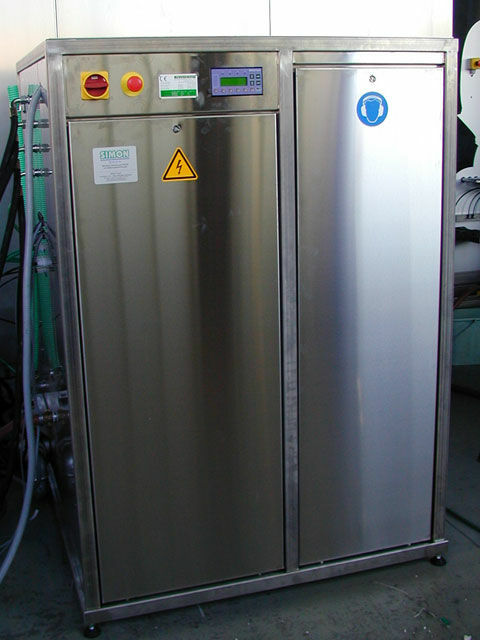 The pressure power unit, as well as control systems are located in a separate housing, outside of the wet zone, however primary functions can still be controlled directly on the machine, by means of a control tower. 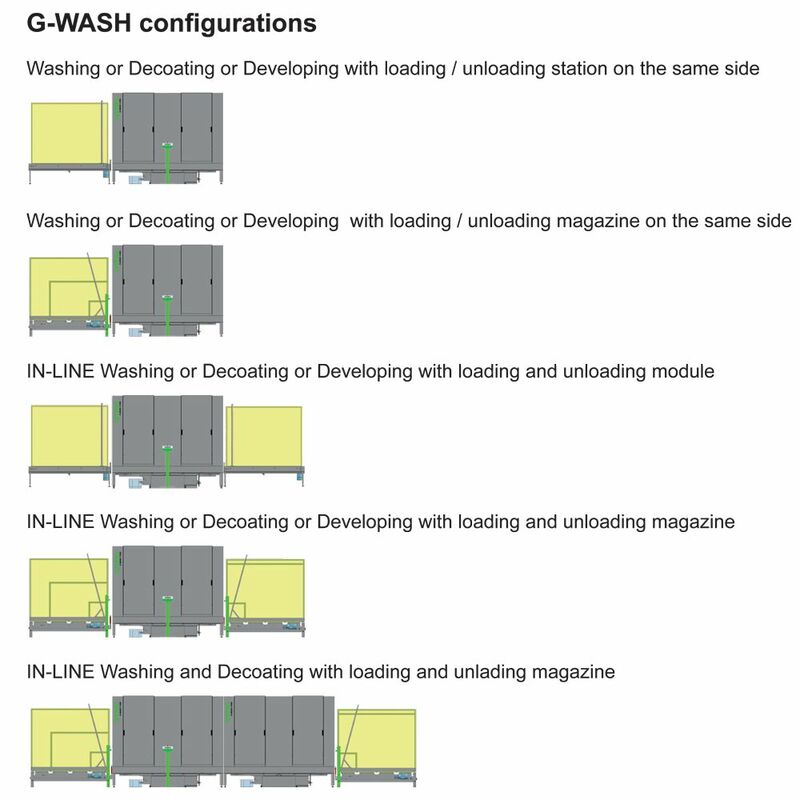 The G-WASH 125 XL supports up to 9 different programs that can be individually configured to meet your particular process requirements. The number of moves and the speed can be separately programmed for each process. 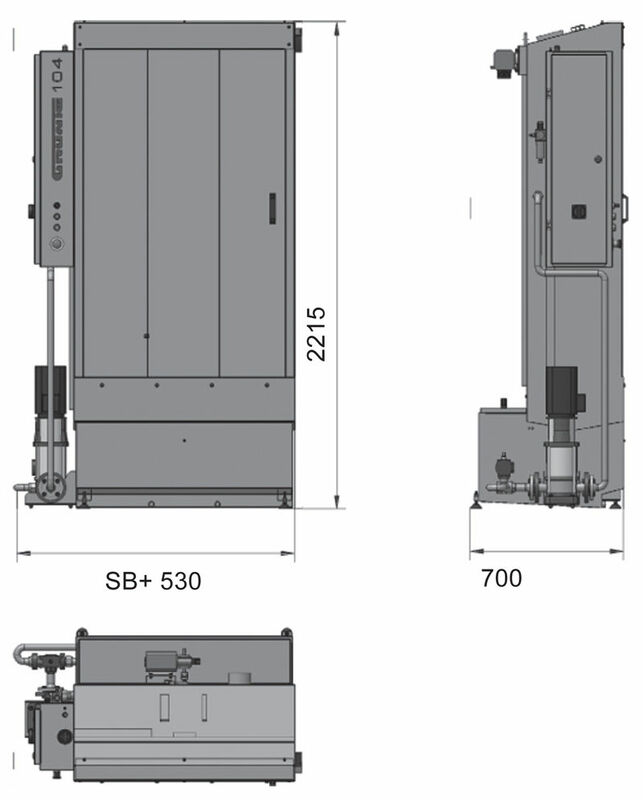 High-pressure de-coating: Additional high-pressure pumps and high-pressure nozzles (60 or 80 Bar) are installed. 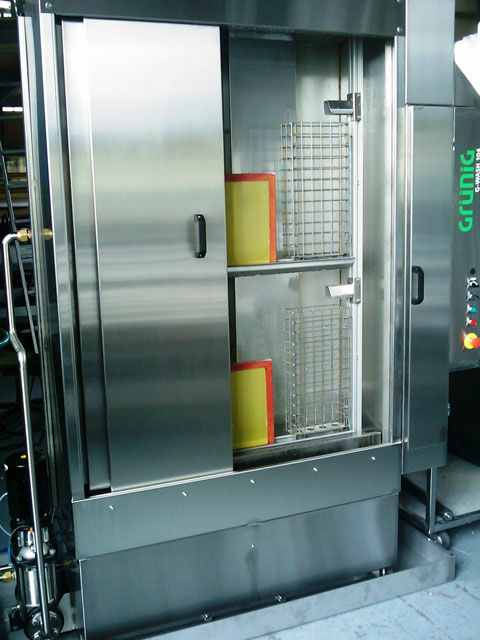 This extra equipment allows the installation to be used for developing, de-greasing and decoating purposes (when combined with Option C1/C2). 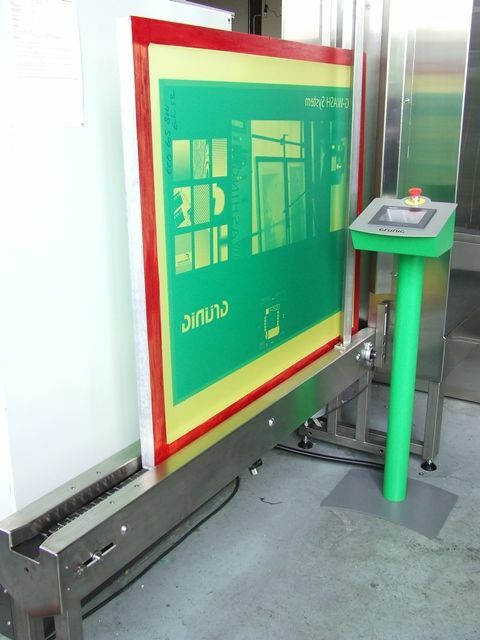 In the automated washing bay, screens are washed from both sides. The solvent is used in a closed-circuit system. 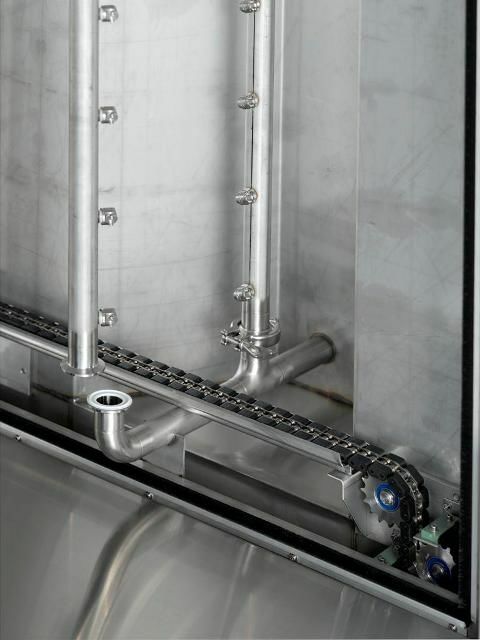 In the high pressure rinsing process, screens are efficient washed with high pressure, eliminating any residual coating. 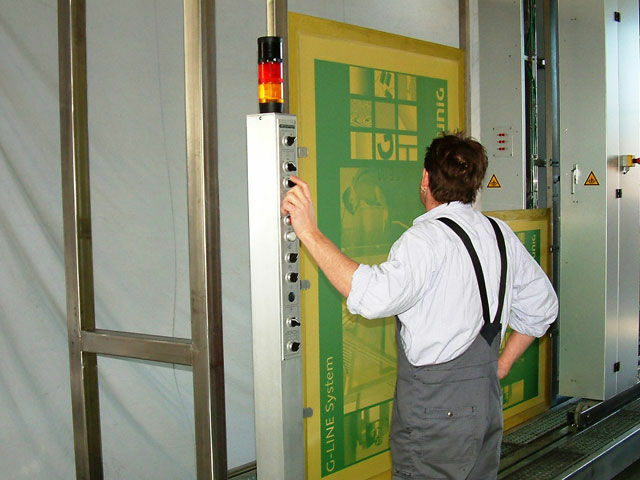 Automated spray nozzles move over the entire height of the screen, from top to bottom. The high pressure water is part of an entirely closed-circuit system. 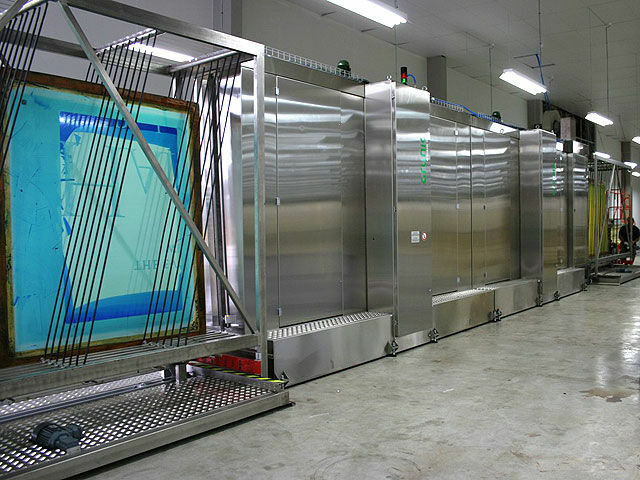 At the end of each process, the screens are rinsed one final time with clean water. 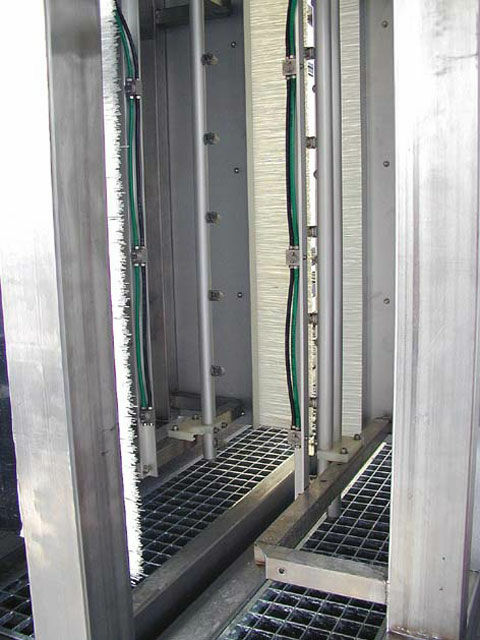 The clean water proportion can be programmed, and overflow is taken to the high pressure module. 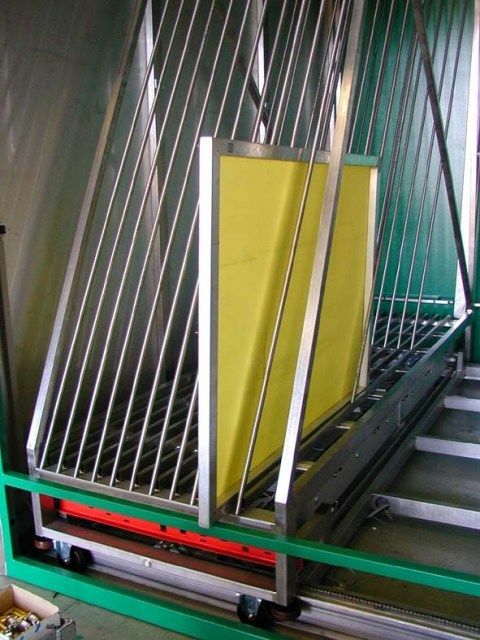 After the washing process, screens are automatically taken to the unloading section, where they can be removed. 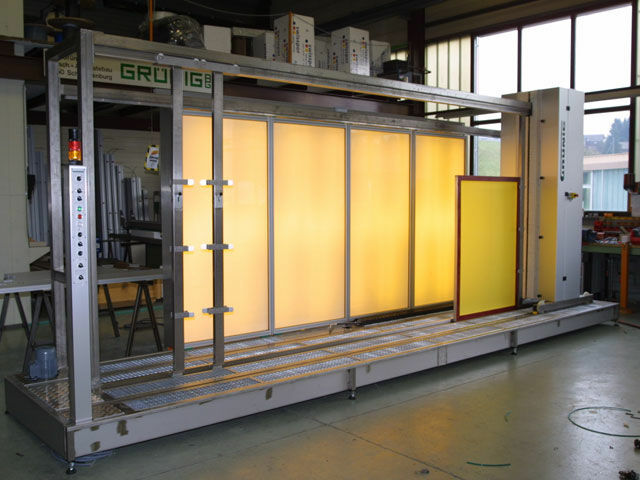 A blow-out module based on a ventilator for the preliminary drying of the screens. 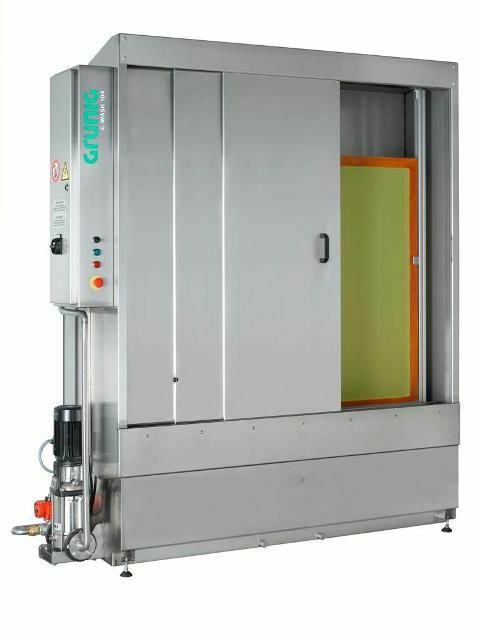 The G-WASH 170 is a modular inline cleaning system that provides efficient screen cleaning in a safe, automated process. 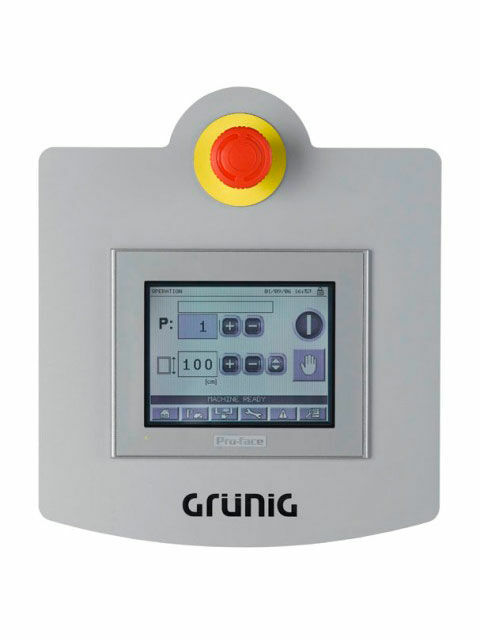 It provides a high degree of flexibility thanks to Grünig’s modular “IN-LINE” design system. 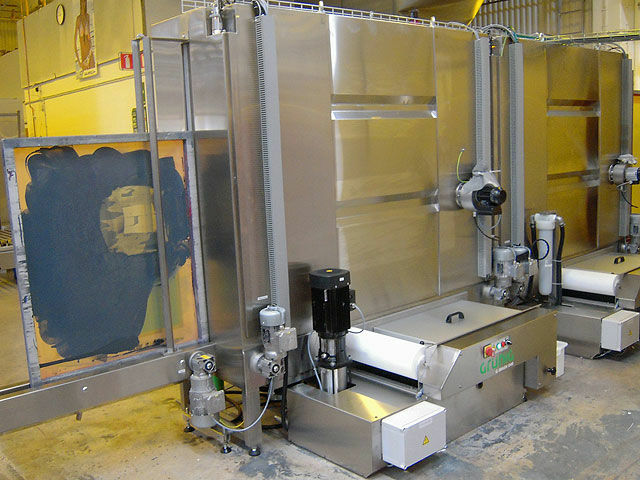 The G-WASH 170 can provide substantial cost reduction as a result of optimized, automated processes. Additionally, it is designed for the latest generation of all-in-one screen cleaning chemicals. 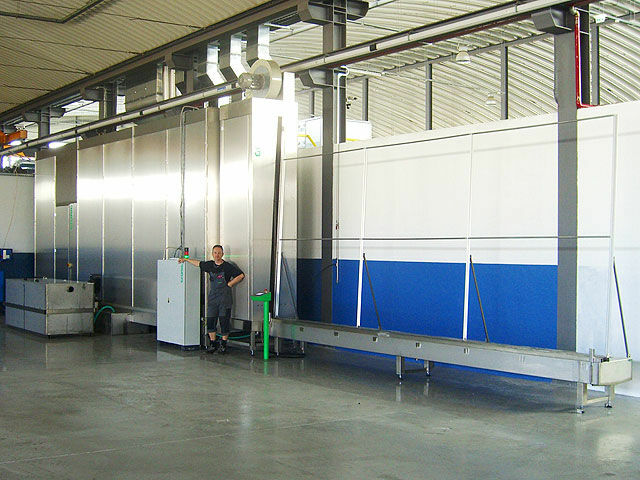 A G-WASH 179 blow-off module can be integrated into the IN-LINE system and combined with the various modules of the G-WASH 170. 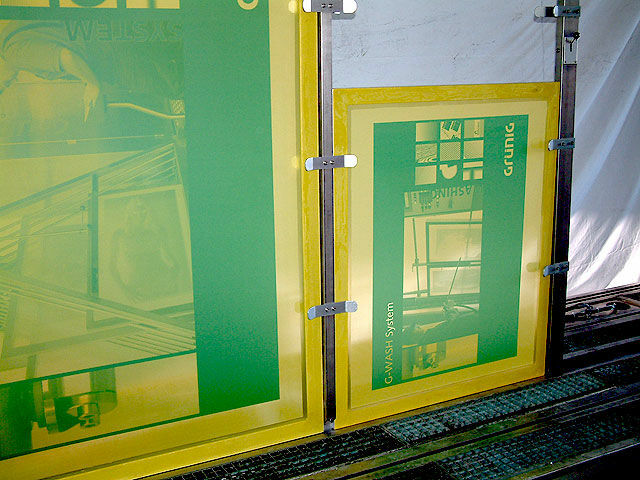 Wet screens are efficiently blown out and pre-dried. 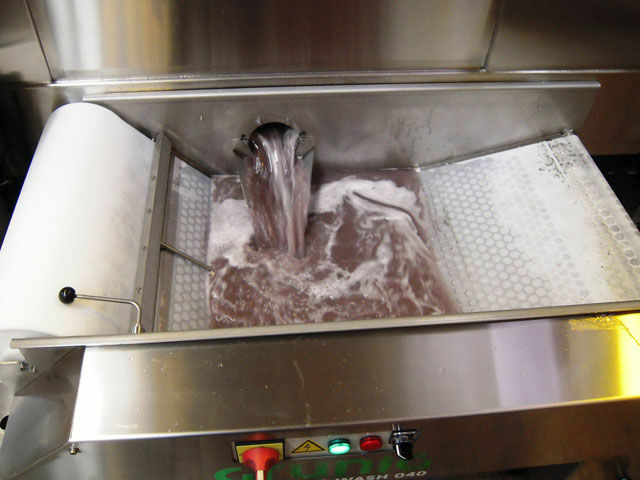 As remaining liquid is removed in this way, the overall drying time can be considerably shortened. 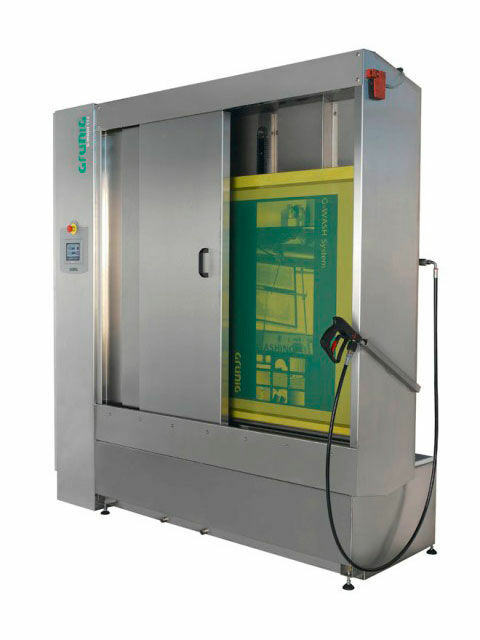 The G-WASH 170 can be equipped with feeder units designed for automatic loading and unloading of the screens. 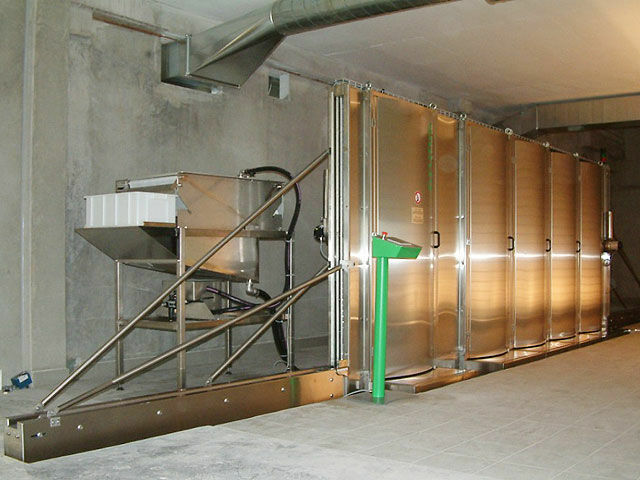 These feeder units offer a capacity of 10 screens. 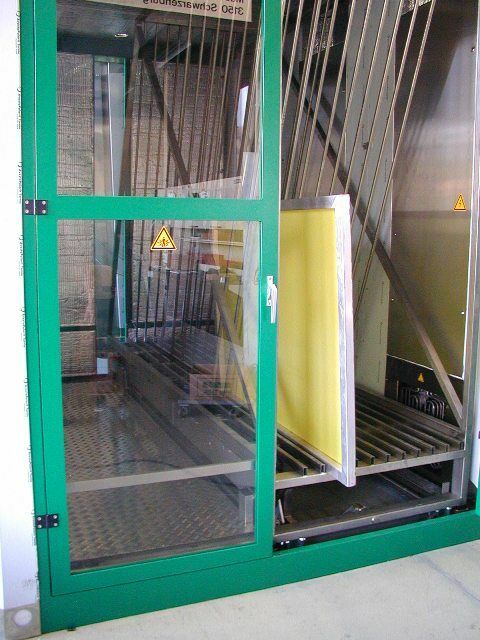 They can also be used as screen carriages in the vertical screen cabinet dryer G-DRY 590 or in the automatic coating machine G-COAT 421. 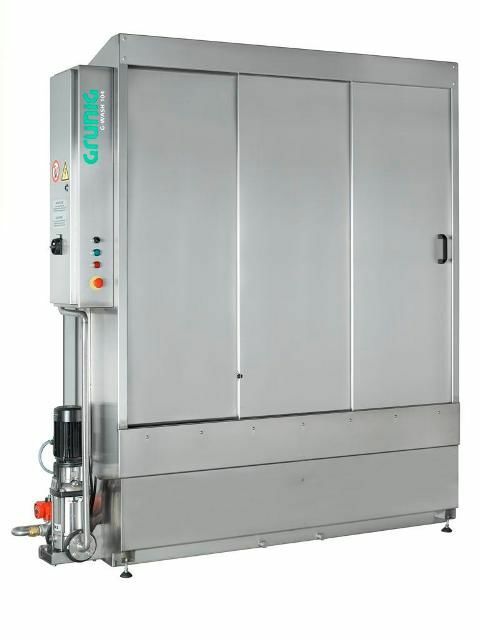 The G-WASH 170XS is an inline degreasing and developing solution designed for modular extension. 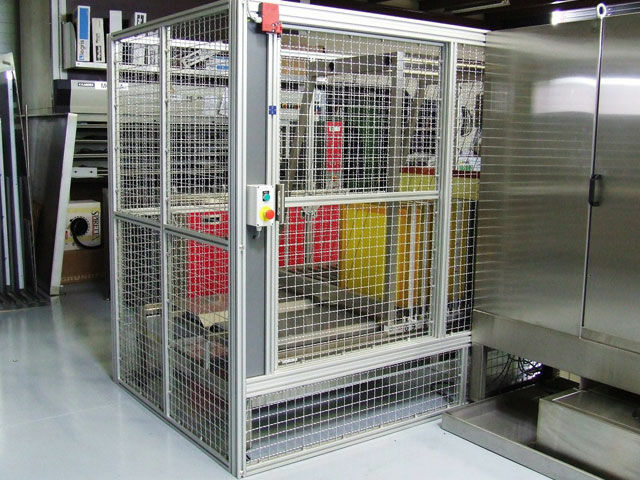 It allows for a flexible automation of the entire washing process. 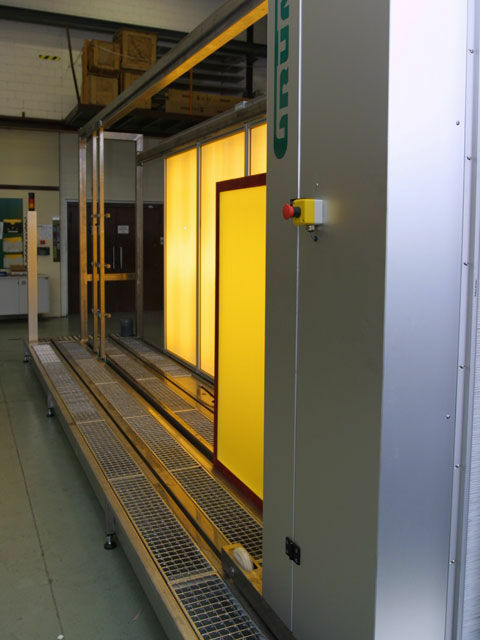 The G-WASH 170XS, as part of Grünig’s “IN-LINE” system of modular devices, can be incorporated into the inline “G-LINE” system for automation of the entire screen process: washing, decoating, drying, coating, drying, CTS imaging, and development. 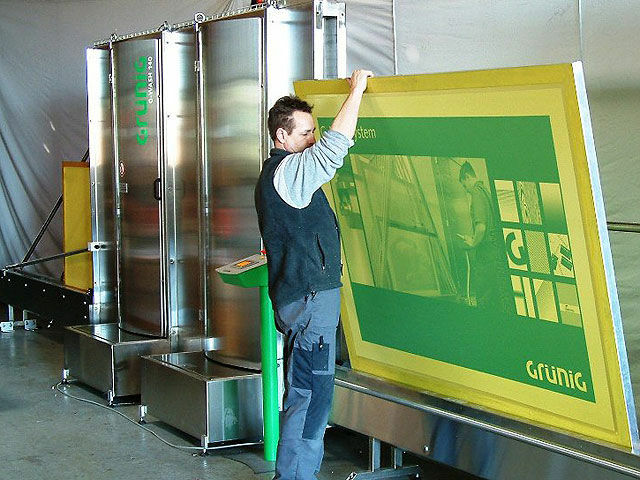 The Dip Tank/Emulsion Removal System is designed for safe and efficient screen printing stencil removal. 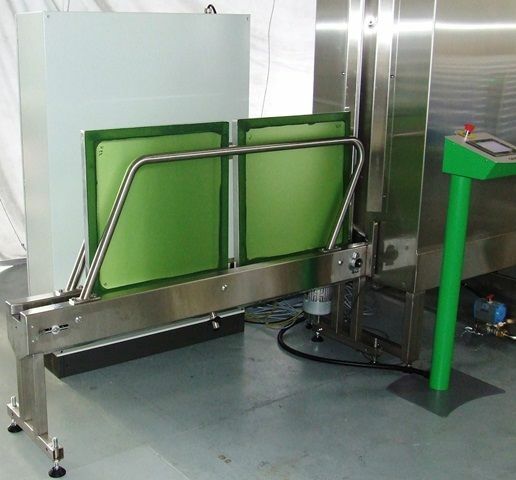 The RhinoClean™ Emulsion Removal System is designed to be used in conjunction with chemical emulsion removers. 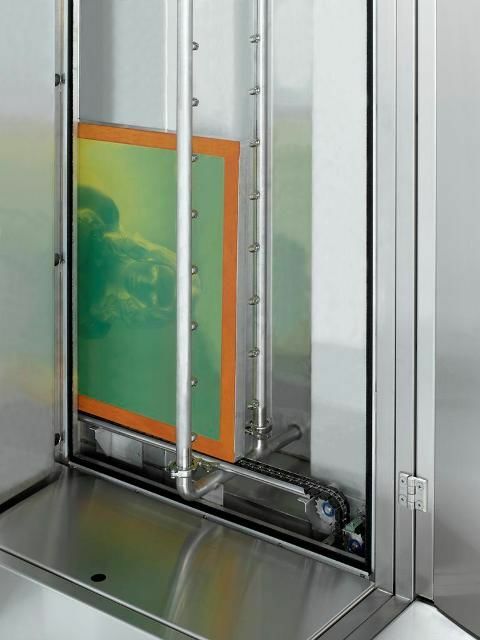 It will effectively remove all types of emulsion from the screen frame using high pressure water on the chemically softened emulsion. 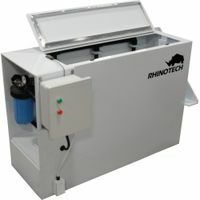 The RhinoTech Dip Tank/Emulsion Removal System helps reduce chemical use by cutting down on the amount needed to clean each screen, and it saves time and effort. 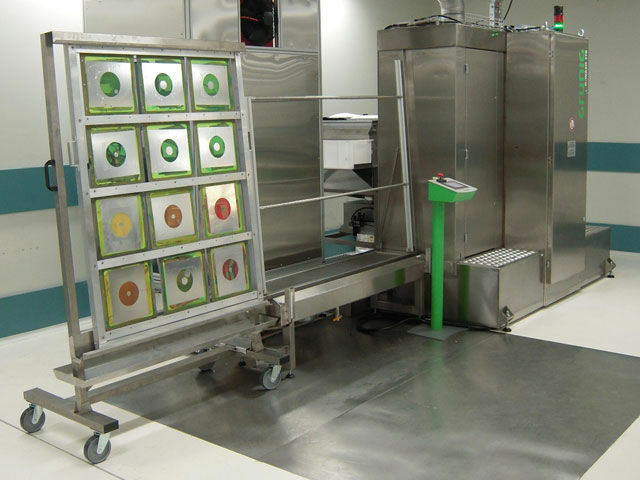 The system helps meet compliance by minimizing the volume of chemicals going down the drain, and lessens environmental impact. 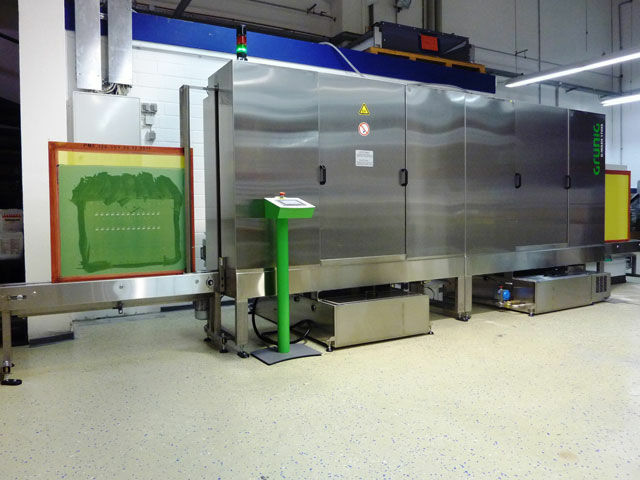 It also frees up employees to spend time on other tasks instead of screen cleaning, and extends the life of the ink degradent/emulsion remover while reduces employee exposure to chemicals. 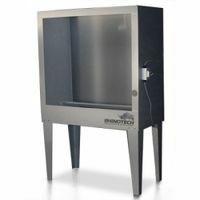 The Economy Washout Booth and Ultralite series are stainless steel, chemical resistant systems that effectively dispose of ink and emulsion by-products. 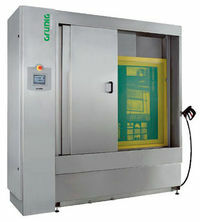 The Ink Removal System is designed for fast, safe, and efficient removal of virtually all types of screen printing inks. 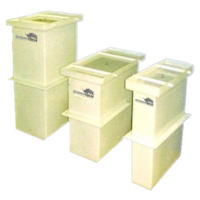 The system is engineered for use with biodegradable solvents and therefore eliminates disposal costs, fire hazards, and reduces excess exposure to solvents for employees. 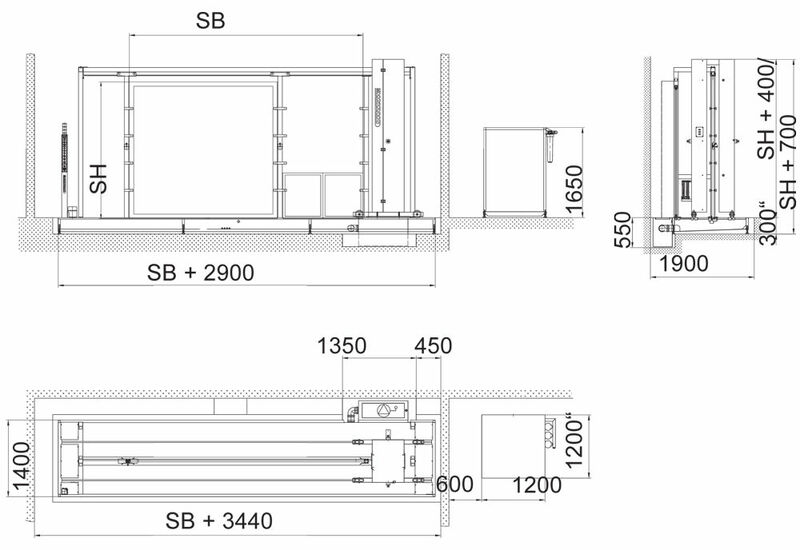 Various sizes and configurations are available. Contact your sales representative for more information. 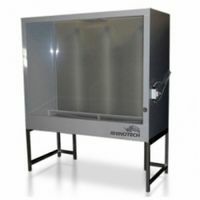 The Professional Washout Booth Series is a stainless steel, chemical resistant system that effectively disposes of ink and emulsion by-products. The difference between this series and the Economy Series is that the Economy Series has plastic legs while the Professional Series has metal legs. This series is also vent ready and has a wand holder. All the booths are available in stainless steel. Custom sizes are available; call for price (which includes crating charge). 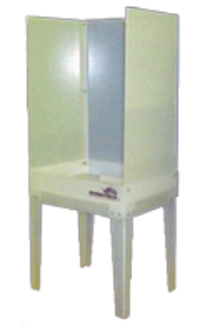 The MiniLite Washout Booth series is an effective system for limited floor space. 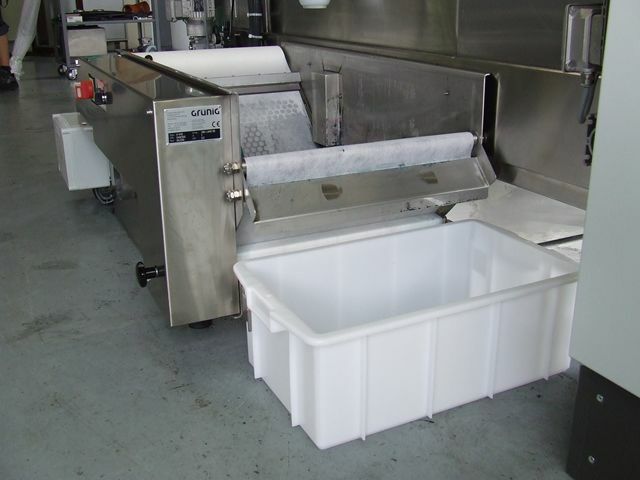 The unit is designed to sit on top of a common sink, creating an easy way to set up a screen cleaning station.